There are so many Church doctrines and gospel principles that giving you only 14 explanations didn't cover nearly enough. So here are 13 more explanations to help you clarify certain concepts for your nonmember friends and neighbors. 1. Question: Does a patriarchal blessing predict your future? Answer: A patriarchal blessing is a special blessing typically only given once in a person’s lifetime. While the only common element in all patriarchal blessings is a declaration of an individual’s lineage from one of the 12 tribes of Israel, it often also provides specific guidance, direction, insight, and blessings for the individual’s time on earth. These blessings are dependent on our worthiness and efforts to fulfill them but may not be realized in this life. For more detailed descriptions and resources on this topic, check out “Patriarchal Blessings” on ChurchofJesusChrist.org. 2. Question: If you have the Book of Mormon, why do you need the Doctrine and Covenants? Answer: The Church of Jesus Christ of Latter-day Saints believes in never-ending revelation and that God will continue to bless us with knowledge and information through His prophets. As such, the Doctrine and Covenants is another book of scripture containing many revelations given through the Prophet Joseph Smith Jr. about doctrine, Church organization, and other topics key to restoring the Church of Jesus Christ. Doctrine and Covenants also contain two important revelations from Church prophets in 1890 and 1978. For more detailed descriptions and resources on this topic, check out “Doctrine and Covenants” on ChurchofJesusChrist.org. 3. Question: Does God talk to you? Answer: God talks to us individually through what we call revelation. Revelation is God’s way of communicating with His children on earth. How He communicates with us can take many forms such as something a friend says to us, the words in a scripture passage, a spiritual prompting, or even an event that brightens our day. While everyone can receive personal revelation, the president of the Church of Jesus Christ is the only one authorized to receive revelation for the entire Church. For more detailed descriptions and resources on this topic, check out “Revelation” on ChurchofJesusChrist.org. 4. Question: Why do you have to pay to be a member of the Church? Answer: You don't have to pay to become a member, but members are commanded to pay tithing. Tithing is a donation of 10 percent of an individual’s “increase” given by the members of The Church of Jesus Christ of Latter-day Saints to the Church. While tithing itself is a commandment, members can determine how to pay their donation or what they define as “increase.” The main purpose of tithing is to express gratitude for material blessings, and the funds are used for things like building temples and maintaining meetinghouses to support the kingdom of God on the earth. For more detailed descriptions and resources on this topic, check out “Tithing” on ChurchofJesusChrist.org. Answer: The endowment is a series of sacred instructions and covenants, received by recommend-holding members of the Church in the temple, that center on Jesus Christ. They place each member who participates under increased obligation to live righteously and follow the requirements of the gospel. In return, they are endowed with special spiritual blessings beyond what they had before. For more detailed descriptions and resources on this topic, check out “Endowment” on ChurchofJesusChrist.org. 6. Question: Does your church really baptize dead people? Answer: There are certain formal acts and promises, such as baptism, that are required to return to heaven. Because these acts must be performed during our time on earth, living members can act as a proxy and be baptized on behalf of their deceased relatives and loved ones who have passed on before. We believe that those who have passed away have the choice to accept or reject this baptism. For more detailed descriptions and resources on this topic, check out “Baptisms for the Dead” on ChurchofJesusChrist.org. 7. Question: What happens in a sacrament meeting? Answer: Every Sunday, members of The Church of Jesus Christ of Latter-day Saints gather to worship together by praying, singing hymns, and learning from a few members of the congregation who have been asked to prepare a 5–15-minute speech on a gospel principle, referred to as a “talk.” During the main meeting, we eat a small piece of bread and drink a sip of water that has been blessed by priesthood holders—or authorized men—called the sacrament. The bread and the water symbolize Christ's body and blood. By taking them, Latter-day Saints promise each week to follow Christ and keep any other covenants they have made with Him. For more detailed descriptions and resources on this topic, check out “Sacrament Meeting” on ChurchofJesusChrist.org. Answer: Once a month, on the first Sunday of the month, members of The Church of Jesus Christ of Latter-day Saints voluntarily refrain from eating and drinking for two consecutive meals and donate the money that would have been spent for food to the poor and needy. This fast gives them access to increased spiritual sensitivity which, in turn, helps them find answers or receive specific blessings from God. During church services on this day, members have the opportunity to voluntarily go to the pulpit to share and declare their conviction and belief in Jesus Christ. This act is referred to as "bearing your testimony." For more detailed descriptions and resources on this topic, check out “Fasting and Fast Offerings” on ChurchofJesusChrist.org. 9. Question: Is the bishop your congregation's leader? Answer: Yes, on a local level. The bishop looks after the temporal and spiritual needs of both members and nonmembers within the geographical boundaries of the congregation where he lives. For more detailed descriptions and resources on this topic, check out “Bishop” on ChurchofJesusChrist.org. 10. Question: Is it true that Joseph Smith used a stone to translate the Book of Mormon? Answer: Though no longer used today, special stones have been used by prophets, including scriptural prophets and the latter-day prophet Joseph Smith, for assistance in seeing visions and the translation of ancient records. For more detailed descriptions and resources on this topic, check out “Book of Mormon Translation” on ChurchofJesusChrist.org. 11. Question: You mention “priesthood blessings” a lot. What are they? Answer: A priesthood blessing is when a priesthood holder—an authorized male given special authority—lays his hands on a person’s head and offer a special prayer in order to bless the recipient with a particular needed thing, such as healing, comfort, or guidance, according to the will of God. When a blessing of healing is sought, special oil that has been separately blessed is used. For more detailed descriptions and resources on this topic, check out “Priesthood Blessing” on ChurchofJesusChrist.org. 12. Question: What is the “gold bible” I’ve heard your church had in its beginning? Answer: The "gold bible" you hear about was actually a nickname that others gave to the Book of Mormon, which was originally recorded by ancient prophets on a set of golden plates. The prophet Joseph Smith Jr. translated the text engraved on these plates to produce what we now call The Book of Mormon: Another Testament of Jesus Christ. For more detailed descriptions and resources on this topic, check out “Gold Plates” on ChurchofJesusChrist.org. 13. 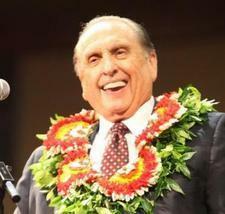 Question: Do you ever get to hear the prophet speak? Answer: Yes. Twice a year, usually on the first weekends of April and October, the membership of The Church of Jesus Christ of Latter-day Saints gathers, some in person and others through internet, television, or later recordings, to listen to instruction from the prophet and other leaders of The Church of Jesus Christ of Latter-day Saints. For more detailed descriptions and resources on this topic, check out ChurchofJesusChrist.org.